Route. 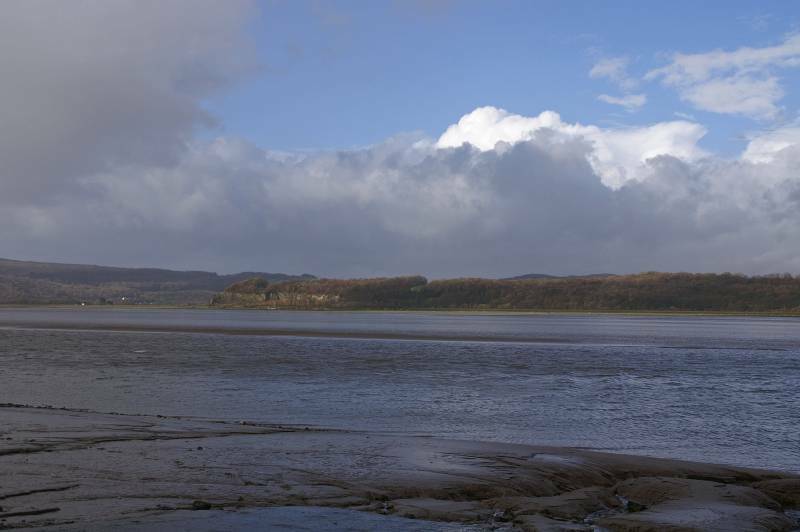 Arnside - Red Hills Road - Knott Road - Arnside Knott Wood - Heathwaite - Far Arnside - Park Point - Arnside Point - White Creek - Blackstone Point - New Barns - Arnside. Notes. My last three walks have been blessed with the best weather November could afford, my luck had to run out sooner or later, it looked like today was the day, "heavy rain and strong winds" the Border TV weather presenter announced,"with intermittent bands of sunshine", whatever that meant, to me it sounded like a valley walk not a day to be out on the high fells. I decided not to push my luck, today's walk would be short and simple, still taking in some spectacular limestone scenery and hopefully some views across the bay, that's if I didn't get blown off the cliff path, or knocked unconscious by falling debris. 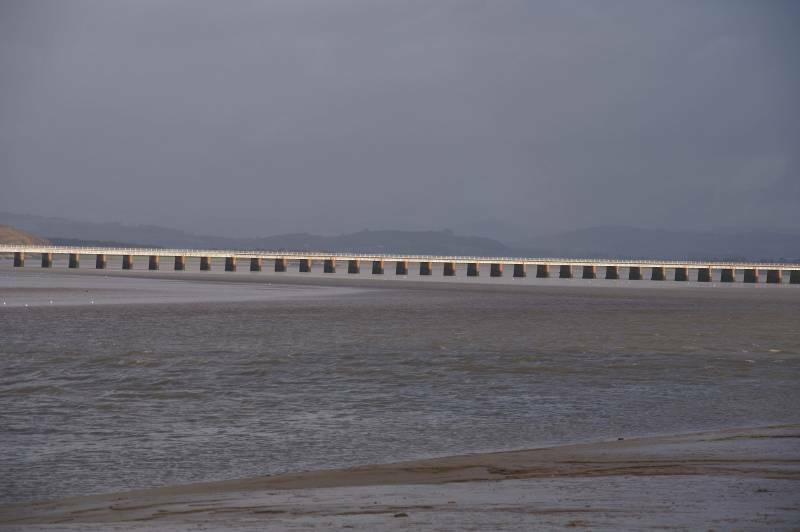 I must admit I was a tad disappointed as I drove through heavy rain on my way to Arnside. I donned my waterproofs as a rainbow arced across Faulshaw Moss, and as luck would have it that was that. With storms raging all around me, I spent the next two and a bit hours wandering along in a little bubble of sunshine all to myself, with strong winds trying their damnedest to burst it, not succeeding until I stepped back into the car over two hours later, then the heavens opened. 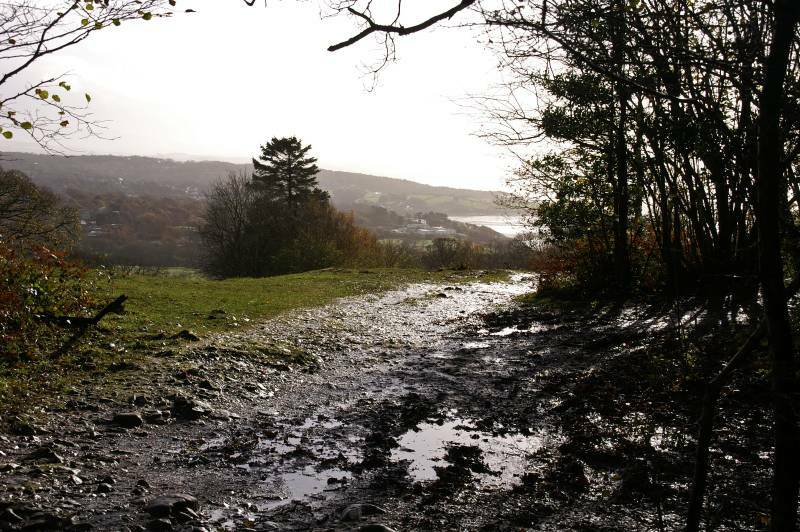 By coastal path and tarmac lanes on way marked routes I made my way up Arnside Knott, ignoring the summit I entered Arnside Knott Wood, the bridleway I followed cuts across the shoulder of the knott then descends to Arnside Tower Farm, I followed the track to it's summit where a fingerpost pointed the way to Far Arnside. 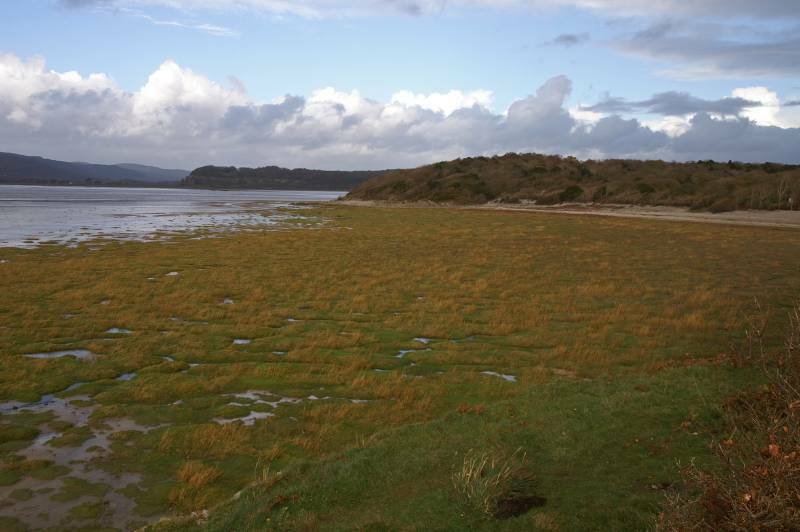 Descending through fields I was soon at Far Arnside stepping onto the coastal path, I soon reached Park Point then Arnside Point before rounding Blackstone Point. 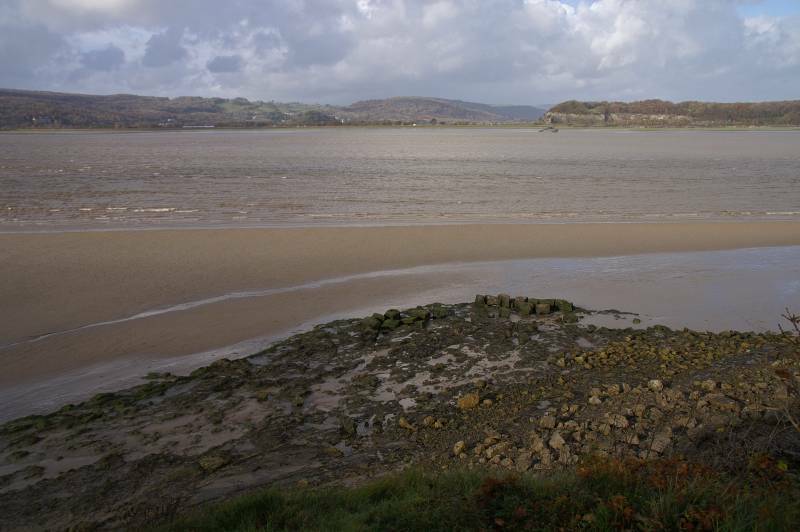 All that remained was the short walk round the edge of New Barns Bay followed by an easy stroll up the coast back to Arnside. 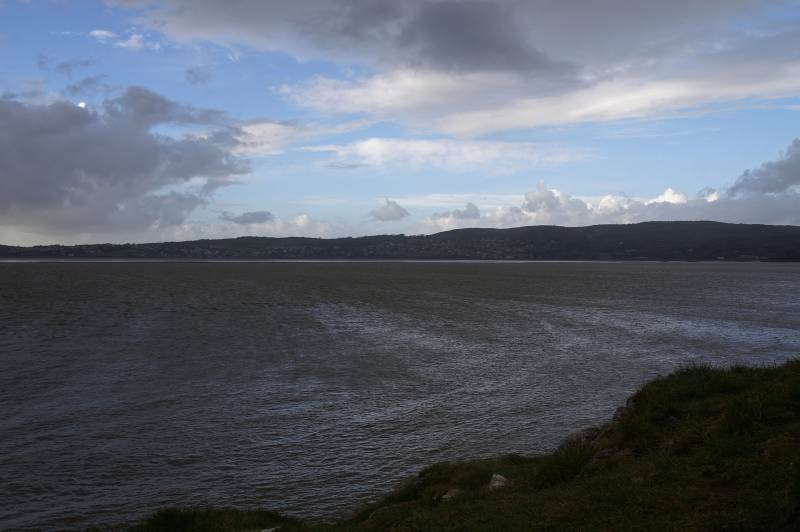 Wet and windy views down the Kent Channel, with a hint of blue in the sky promising better weather. A promise kept, blue sky above Meathop Fell. Looking to the Kent Viaduct with not a lot on view in the background. Views taken looking up the Kent Channel. A hint of colour over Meathop. 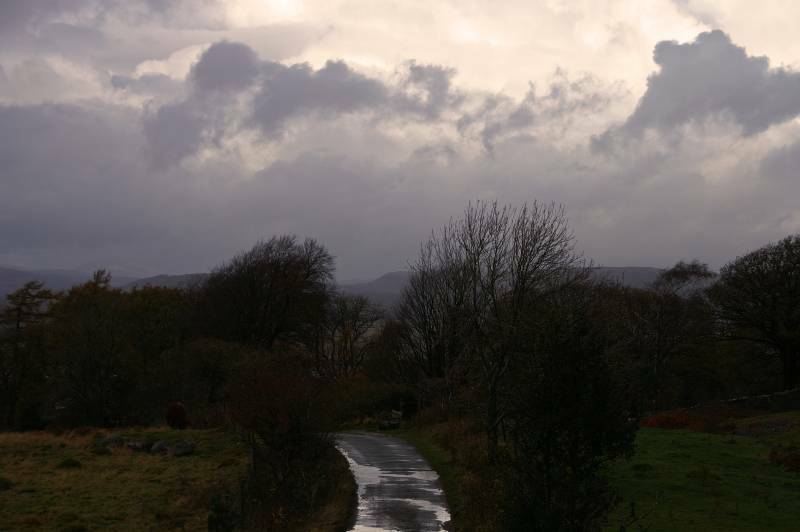 The weather's definitely on the mend, now visible across the channel , grey against the sky Whitbarrow. 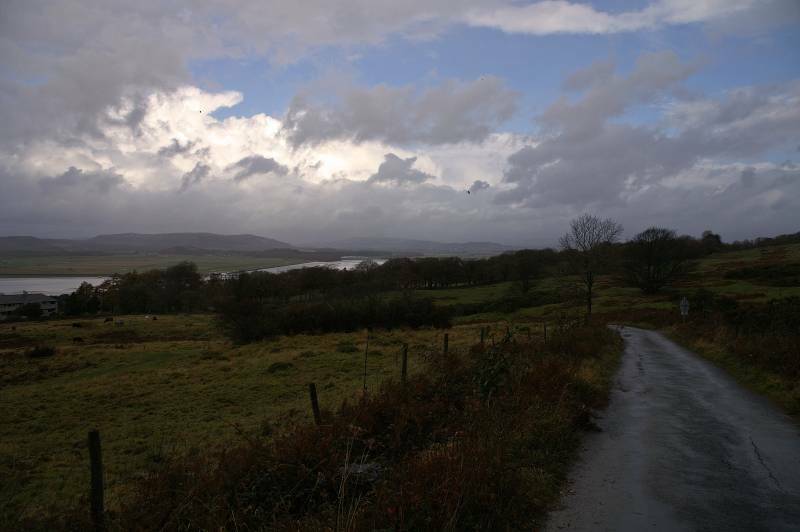 The tarmac lane leading to Arnside Knott. 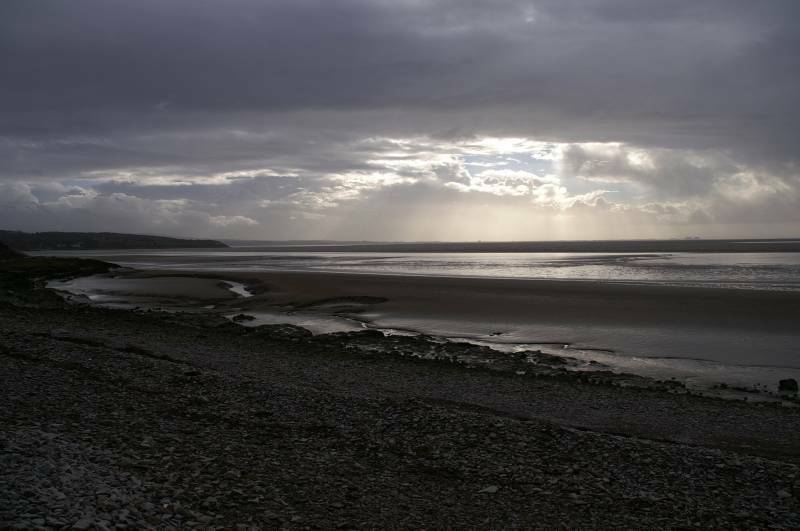 Gain a little height and Milnthorpe Sands tilts into view. 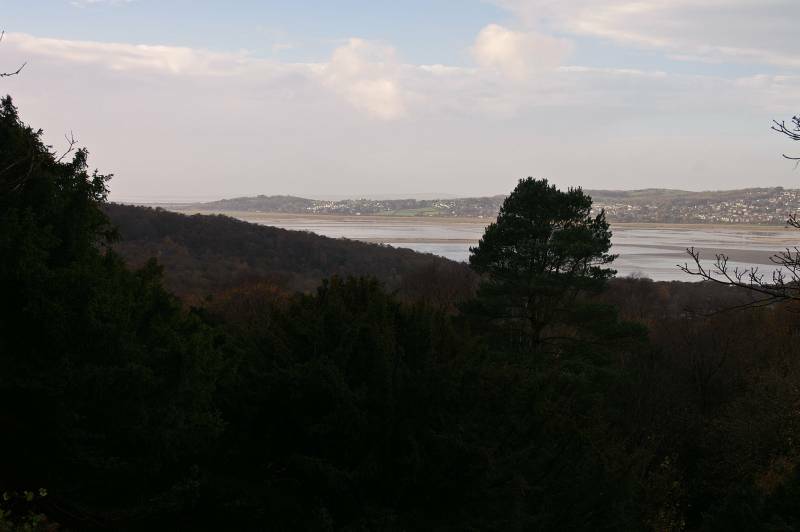 The view from near Arnside Knott car park, a quick look to Grange-over-Sands before stepping into the woodland. 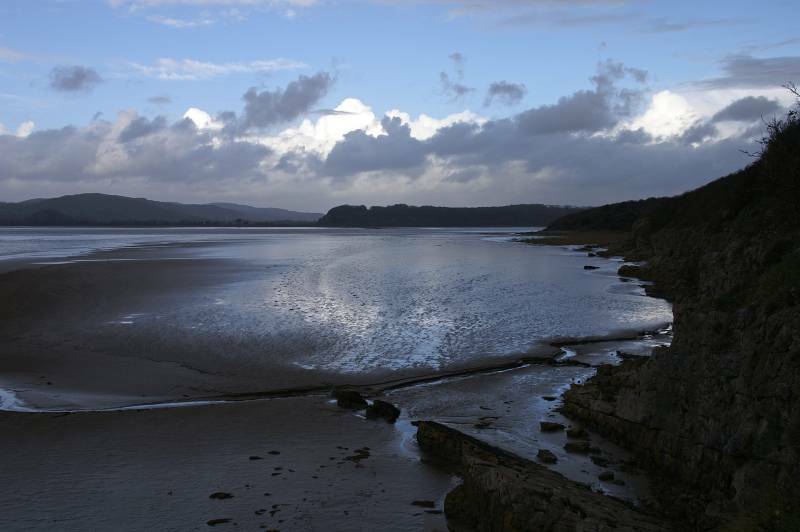 A rather watery view over the Silverdale coast, seen from the start of my descent to Far Arnside. 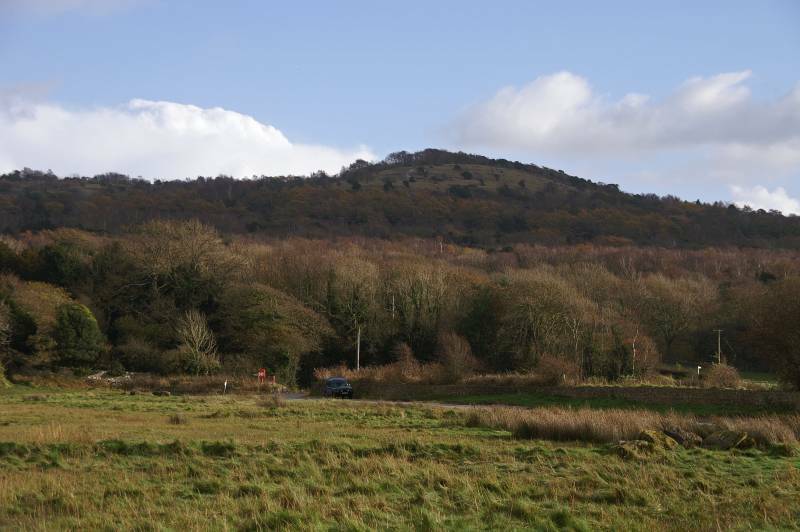 Eaves Wood with a grey looking Warton Crag on the skyline. 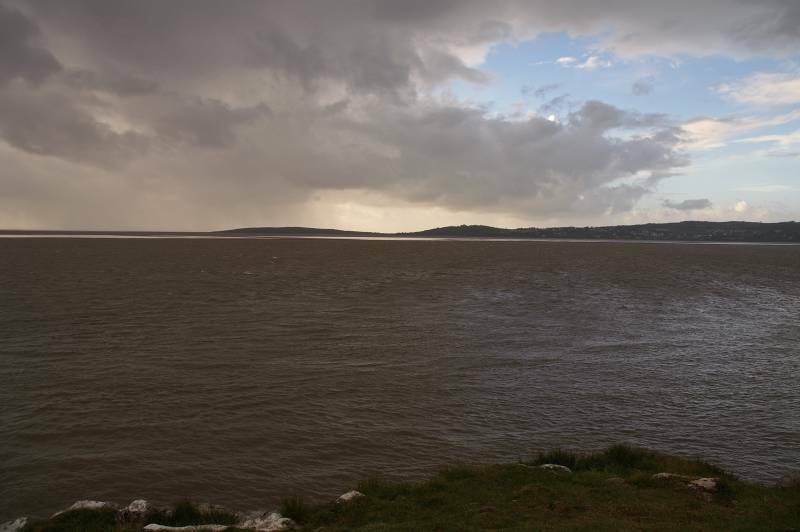 Sunshine and storm over Morecambe Bay. 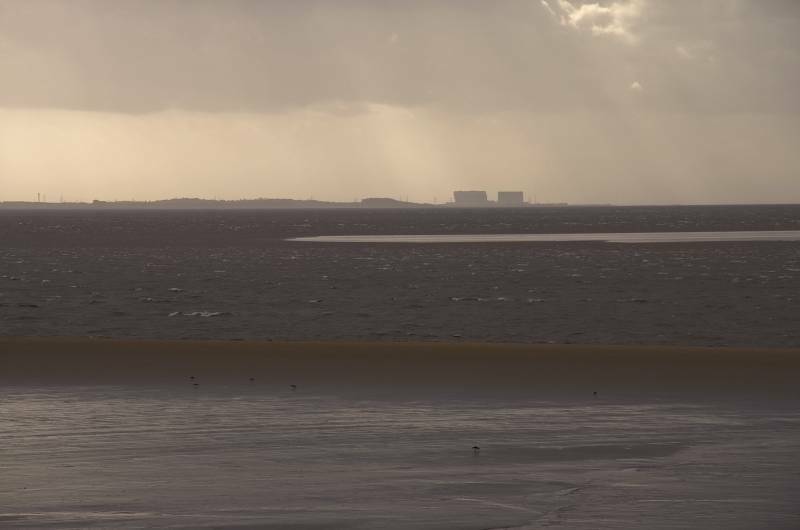 Heysham Power Stations seen over the rising waters of Morecambe Bay. 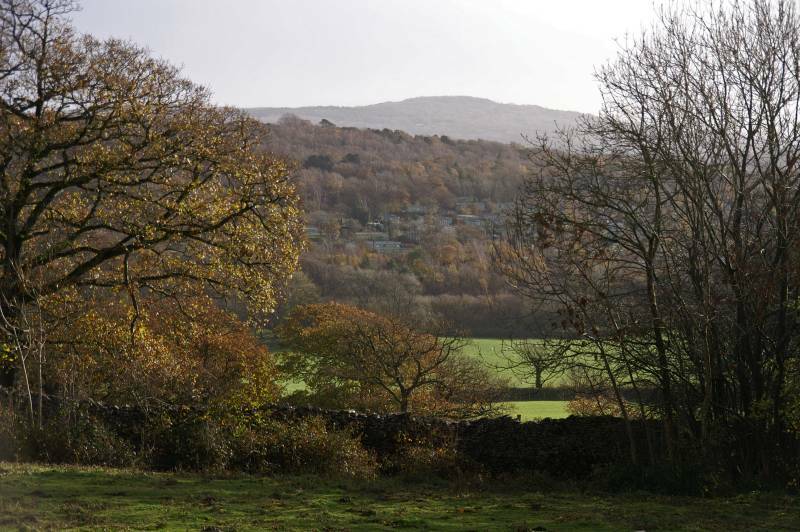 Seen from the cliff path at Park Point the Newton Fells, to the far left Hampsfell the high ground above Grange. 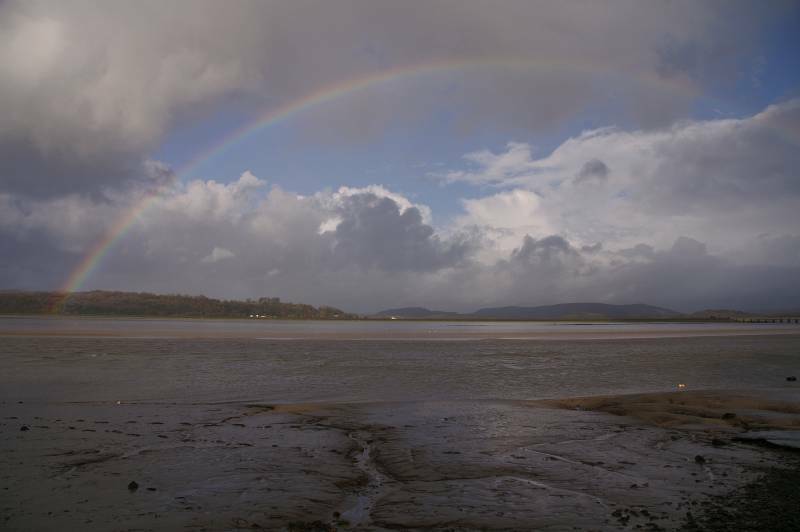 Another storm sweeps across the Irish Sea coast. 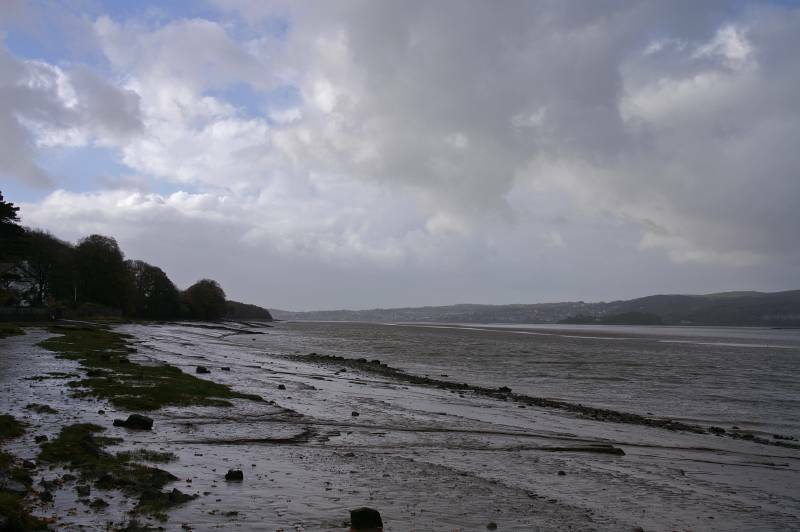 Hampsfell and Grange-over-Sands seen from near Park Point. 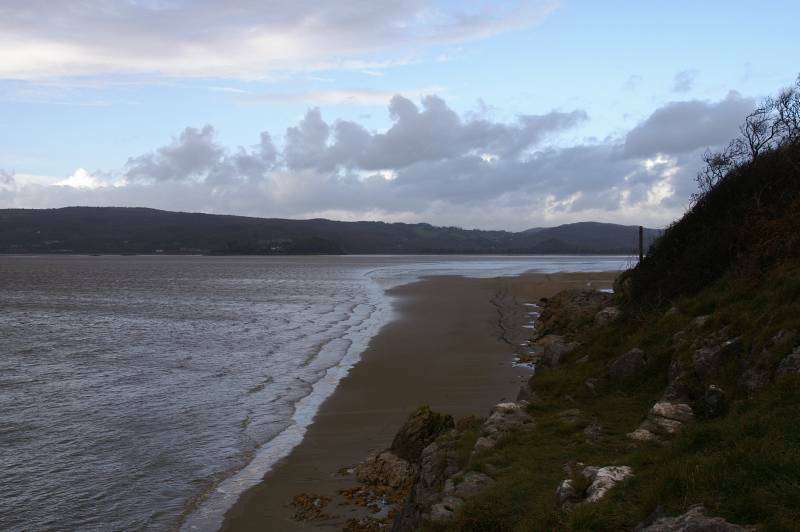 Normally I would descend to the beach from here, today the sand looks too wet and the tide is rising fast, safer to stay on the cliff top path to enjoy views like this one, rain over the Newton Fells, Meathop Fell silhouetted on the horizon and the cliffs marking the edge of Arnside Park. 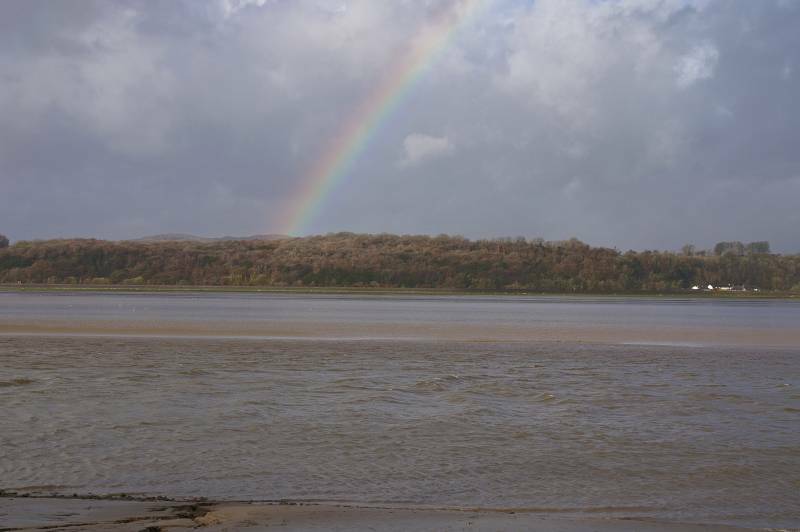 Seen from Arnside Point, Frith Wood over White Creek. 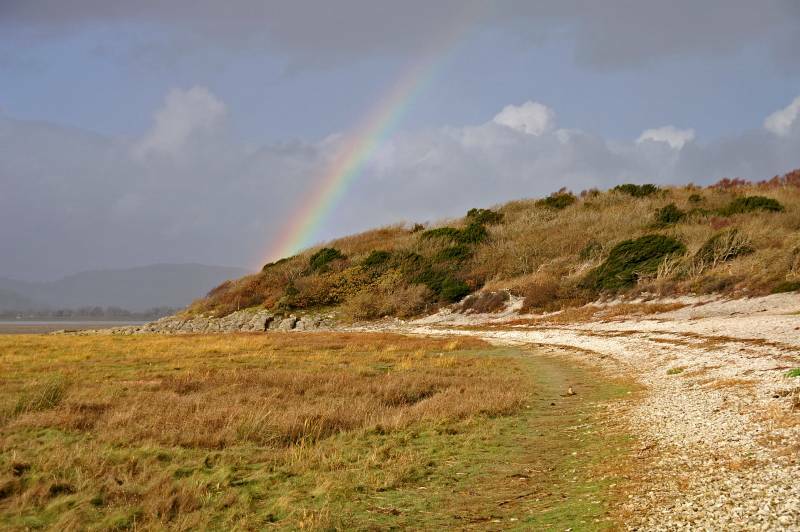 Frith Wood and a delightful rainbow welcome me back to the edge of the Kent Channel. 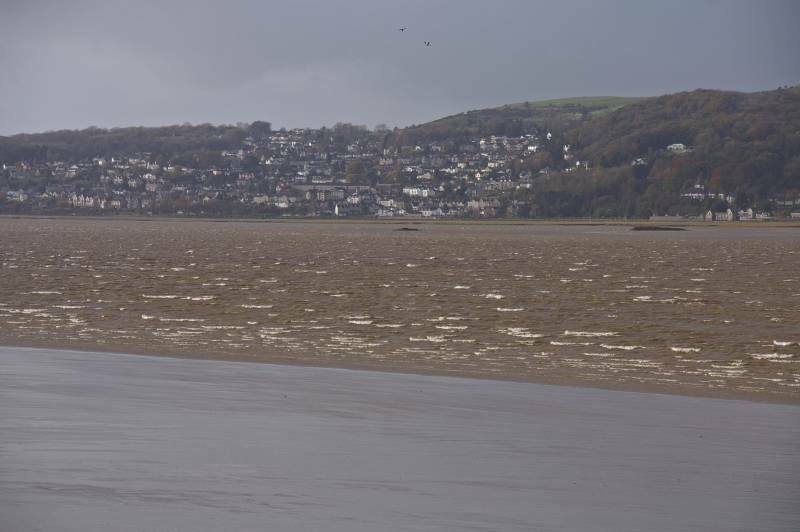 Seen from Blackstone Point, Grange-over-Sands. 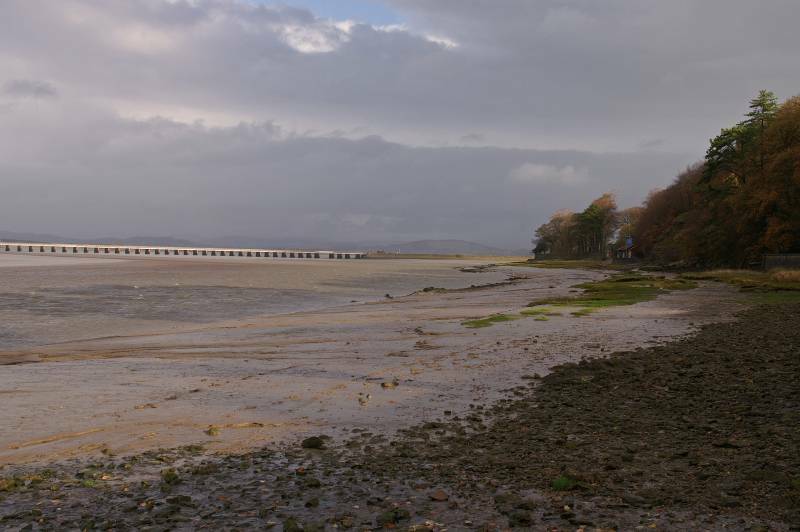 Looking down on the remains of the short jetty at Blackstone Point. 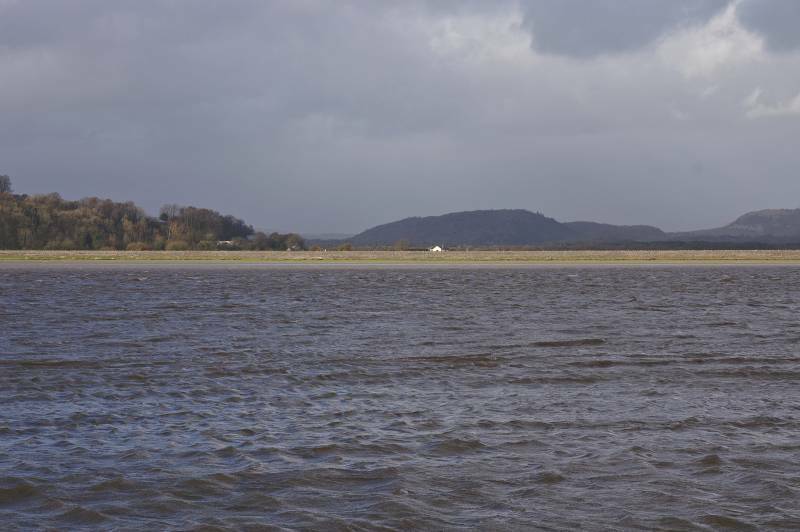 The northern face of Arnside Knott clearly showing the scree slopes known as the glitter beds. Little Yewbarrow marks the entrance to the Winster Valley, seen from New Barns Bay.